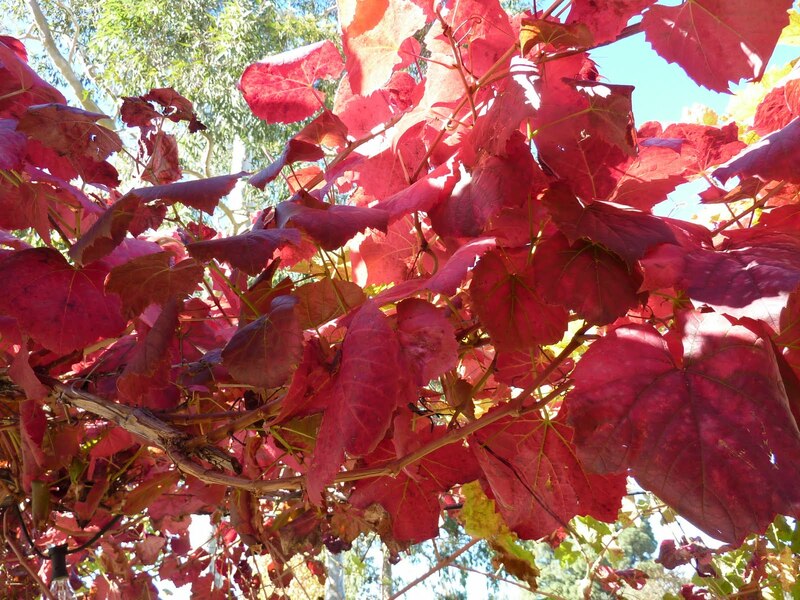 To take advantage of the brilliance that is the entertainment book, GG and I headed back to Sandalford Winery in the Swan Valley on a perfect autumn day of blue skies and sunshine. We’d been the year before and it is high of the list of our favourite Wineries in the Valley. Totally worth the drive. To start we shared warm turkish bread, served with “Cooladerra” olive oil, House made dukkah and tomato kasundi. 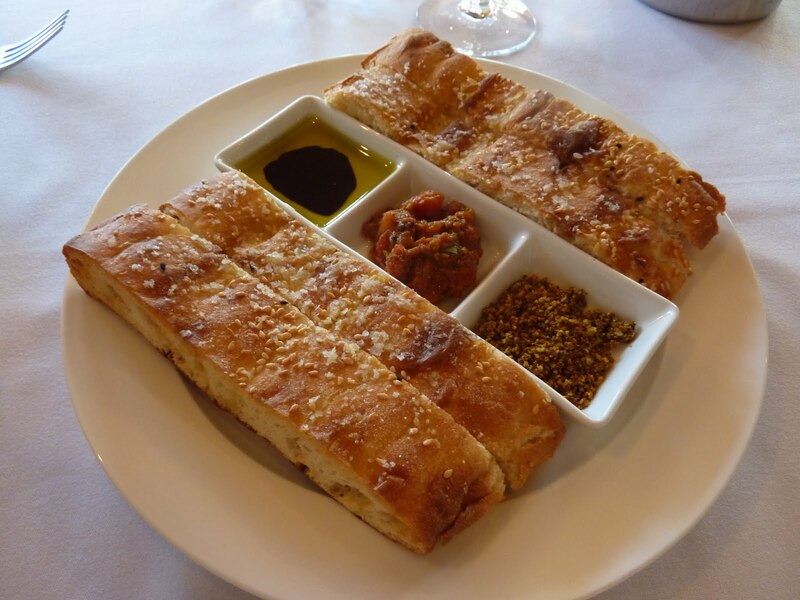 The bread was warm and freshly made and the dip and olive oil were the perfect addition. We had also chosen a bottle of Sandalford Classic White to share – it’s delightful and very easy drinking – crisp, refreshing, perfect. 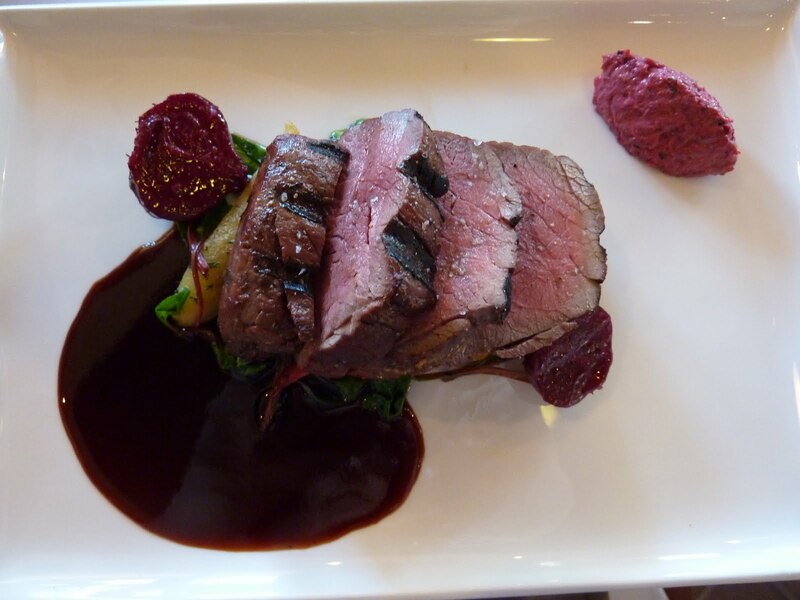 Then for mains I went for the venison, which was served with Kipfler potatos and swiss charde ecrasse, beetroot and horseradish remoulade with a Shiraz juz. Really enjoyed it. Found that the venison was almost a little bit lighter than a beef steak. The sauce worked really well with it and kipfler potatoes are a winner. 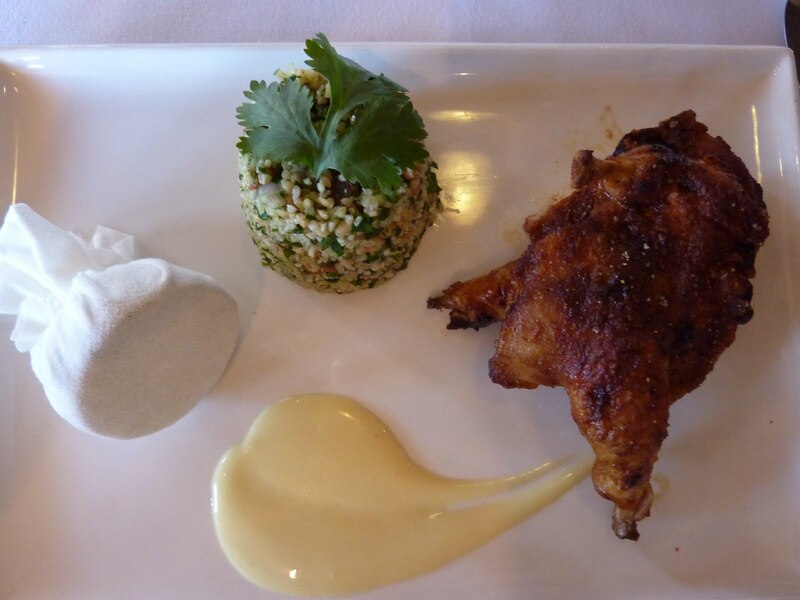 And GG went with Charred Moroccan Spatchcock, Honey and Carmadon Glaze, Tabouleh and Pinenut Salad, served with yoghurt and saffron dressing. 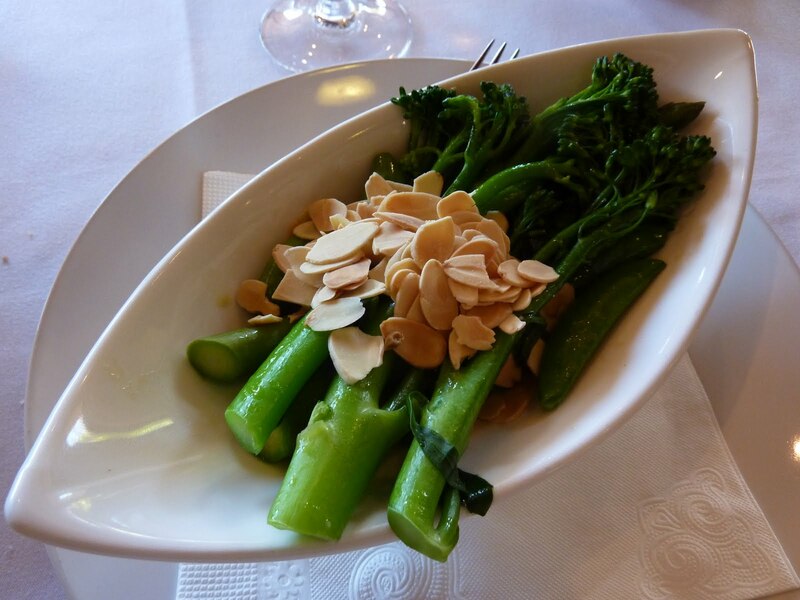 And with this we had steamed green with basil butter and slivered almonds. Tasty! I’ll be trying to get my greens at home like this! 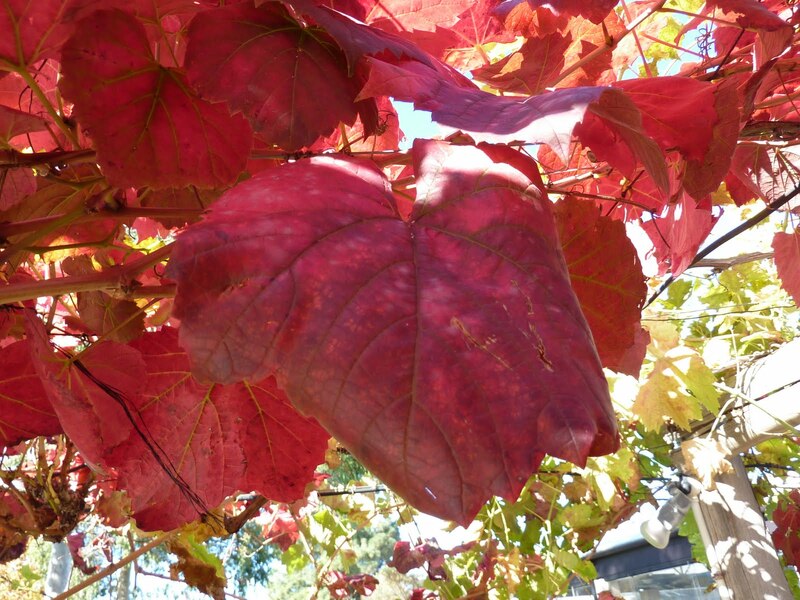 It was entirely beautiful outside, I think Sandalford is one of the most stunning wineries, especially in autumns. I would go back to Sandalford again and again. The wines are divine and the few times we’ve been the meals have been very impressive. Wonderful way to spend an afternoon. Love it!